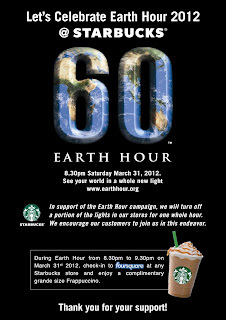 During Earth Hour, check-in to foursquare at any Starbucks store and enjoy a complimentary grande size Frappuccino! 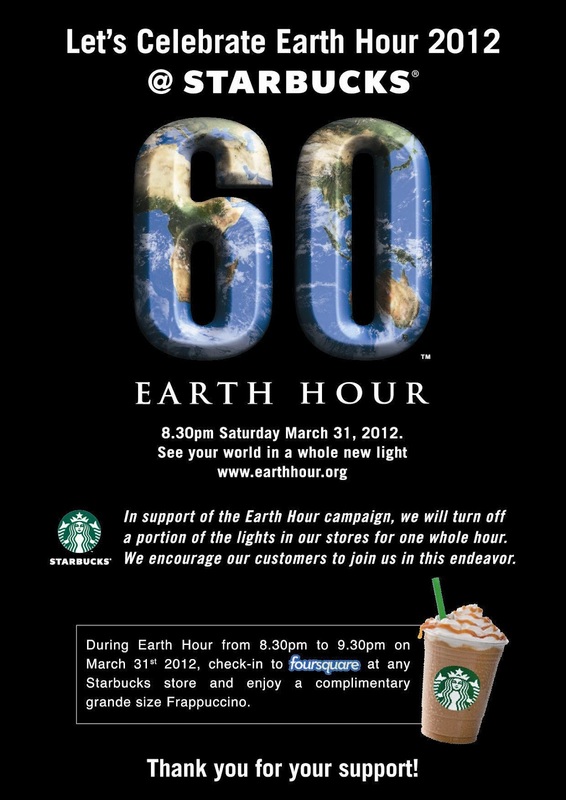 In support of the Earth Hour campaign, Starbucks Malaysia will turn off a portion of the lights in Starbucks stores for one whole hour. Starbucks encourage their customers to join them in this endeavor.